The beauty ideal: The Neutral Gal's Dream Palette. 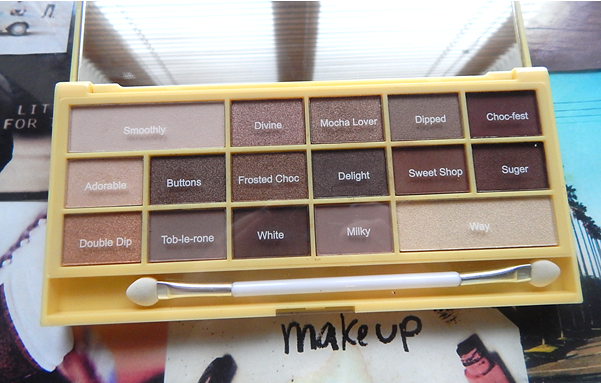 The Neutral Gal's Dream Palette. So over the past couple of weeks or so, every time I was reading through blogs this little baby kept popping up. It was getting raving reviews and bloggers were just loving it. Naturally, I decided I had to have it - and I wasn't disappointed. Seriously guys, when this bad boy came in the post and I started using it yesterday I was ridiculously shocked that Makeup Revolution's Naked Chocolate palette only checks in at £7.99. It's insanely pigmented with really creamy eyeshadows and hardly - if any - fallout. Not to mention the lasting power of these shadows is on point. I'll be honest, when it comes to palettes it's rare that I find one where I like every shade - but there isn't a shadow in this palette that I dislike. 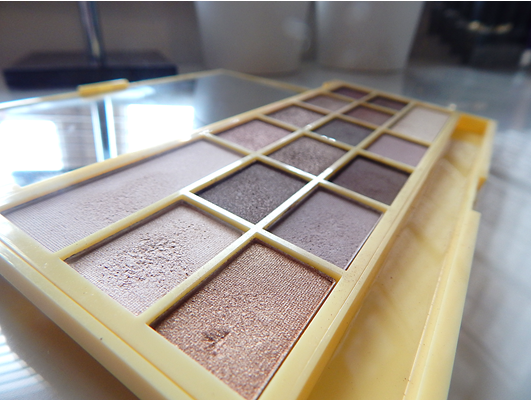 They all work well in conjunction with one another and so many looks can be created from this one palette. Some of my favourites include Frosted Choc, Mocha Lover, Sweet Shop and Double Dip - both the shimmers and the mattes are fabulous. I bloody love the packaging too, bulky yes but anything that's associated with chocolate gets a thumbs up in my books. I will say one negative thing though - for an English obsessive like myself the misspelled 'Suger' did rattle my cage a little. But I'm a weirdo. Wow, looks good enough to eat! Colours are lovely.